Judging by the Cover – 4/11/18 new releases – AiPT! 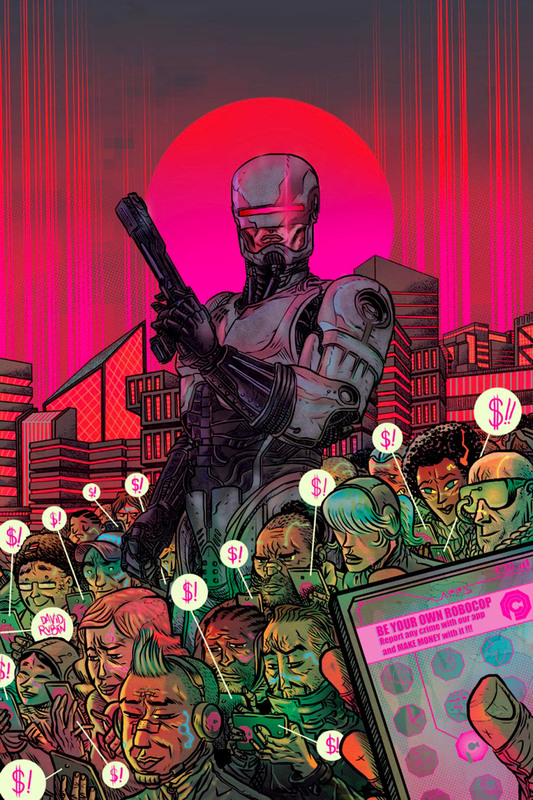 David and Eric share their favorite covers of the week’s new comics. Cassaday brings back the chainmail look in all its detailed glory! The use of the flag interwoven with Cap gives the cover a great patriotic feel. There’s also great use of color on this with the shine of the shield to the gloss of his mask. 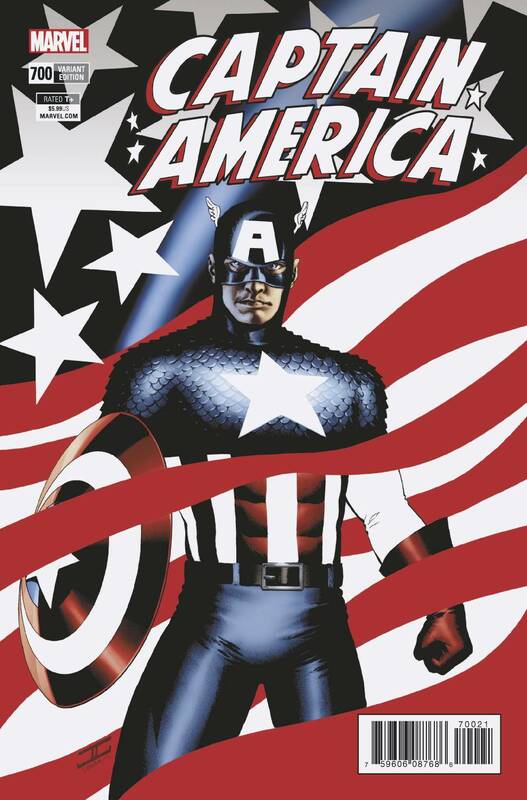 I also love Alex Ross’ cover for the same issue, but this cover sells me on the concept of Captain America. I love the use of color in this cover. The people have greens and reds splashing across them as if they’re inhuman and alien. It’s a good contrast with Robocop himself. There’s also a nice use of space with the foreground cell phone and background of the city. 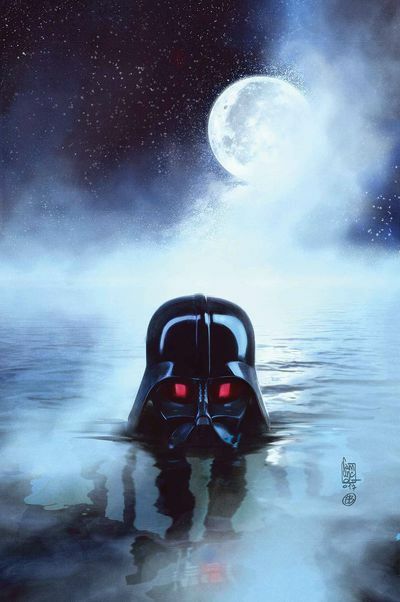 Darth Vader is currently attempting to bring the Mon Calamari to heel thus the water theme of this cover, but damn does it look freaky. 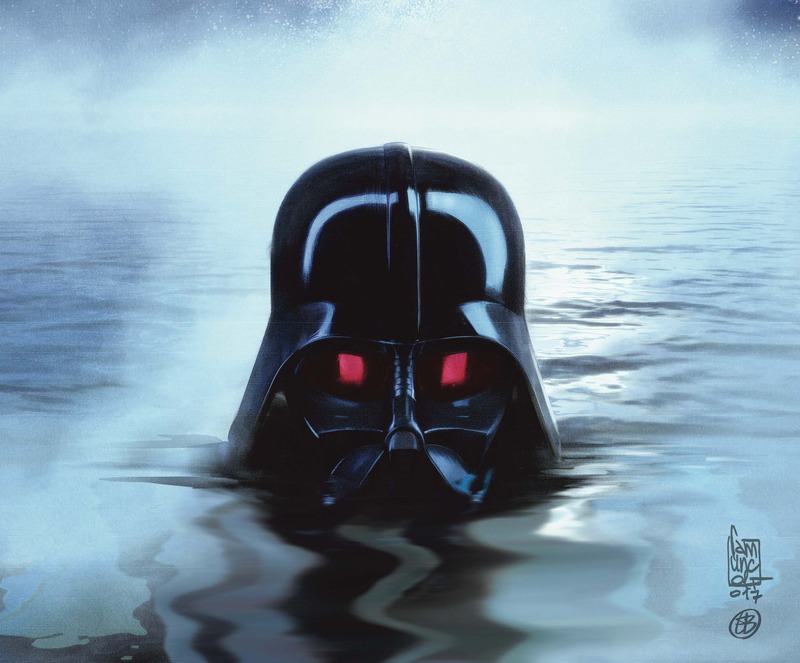 The artists have does a great job making the water and helmet look real. Screw Jaws, this is the new threat to be afraid of in the water. There’s a lot I dig about this Cliff Chiang cover. The relative simplicity of the nature imagery is charming, and the gray-green tone contrasts nicely against the bold orange. I’m also a big fan of objects being superimposed over heads, so the house in place of the man’s lower face is very cool to me. I’m a fan of images with lots of small details, so the border-work on this Mark Brooks cover does a lot for me. I’m also a fan of Wanda and Pietro, so this piece feels tailor-made for me. The flower crown, stars in the background, and elaborate folds to the cape? Cherries on top. Referential covers are hit-or-miss for me. I don’t like when they redo the same handful of classic images over and over without changing much of note. This one, though, is a unique enough switch-up for me to dig. J. Scott Campbell’s decision to pair Domino with classic Nick Fury iconography is unexpected but makes sense. I love the inclusion of Cable and Deadpool as well, but my favorite part of this cover is the awesome variety of textures.